Tip #1: Never opt out of learning evolution. In fact, learn about evolution every chance you get. I can empathize with Keeling. I had an analogous but opposite experience studying evolution in high school. At the end of our stridenly pro-Darwin unit on evolution, my public high school biology teacher promised us a debate, which like Keeling’s evolution lecture, never materialized. Then in college, I took many courses covering evolution at both the undergraduate and graduate levels. But just like my experience in high school, there was virtually no meaningful debate or dialogue over the fundamental questions. Neo-Darwinian evolution was always taken as a given. Exactly like Keeling, I wanted to know what I was missing. 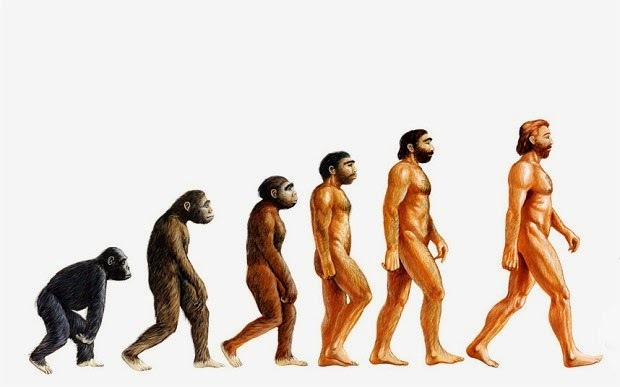 Despite the one-sided nature of my education, I’m glad I studied evolution. In fact, the more evolutionary biology I took, the more I became convinced that the theory was based upon unproven assumptions, contradictory methodologies, and supported weakly by the data. So my first tip is to never be afraid to study evolution. But when you do study evolution, always think critically and keep yourself proactively informed about a diversity of viewpoints (see tips 2 and 3 below). Tip #2: Think for yourself, think critically, and question assumptions. Though my professors rarely (if ever) would acknowledge it, I quickly discovered in college that nearly all evolutionary claims are based mostly upon assumptions. Modern evolutionary theory is assumed to be true, and then the data is interpreted based upon Darwinian assumptions. The challenge for you, the truth-seeking student, is to always try to separate out the raw data from the assumptions that guide interpretation of the data. • Biological similarity between two species implies inheritance from a common ancestor (i.e. vertical common descent) except for when it doesn’t (and then they appeal to processes like "convergent evolution" or "horizontal gene transfer"). • Neo-Darwinism predicts transitional forms may be found, but when they’re not found, that just shows that the transitions took place too rapidly and in populations too small to (statistically speaking) become fossilized. • Evolutionary genetics predicts the genome will be full of useless junk DNA, except for when we discover function for such “junk” DNA. Then evolution predicts that cells would never retain useless junk DNA in the first place. When both A and (not) A imply evolution, you know a theory is based upon an inconsistent scientific methodology. Keep an eye out for assumptions and contradictory methodologies, for they abound in evolutionary reasoning. Finally, you must be careful to always think for yourself. Everyone wants to be "scientifically literate," but the Darwin lobby pressures people by redefining “scientific literacy” to mean “acceptance of evolution” rather than “an independent mind who understands science and forms its own informed opinions.” Evolutionary thinking banks on you letting down your guard and letting its assumptions slip into your thought processes. This is why it’s vital that you think for yourself and question assumptions. Critical thinking showed me what neo-Darwinian evolution was really all about: a set of questionable assumptions, not a compelling conclusion. Self-initiated critical thinking can be a tall task, but seeking the truth is worth every mental calorie expended. Tip #3: Proactively learn about credible scientific viewpoints that dissent from Darwinism on your own time, even if your classes censor those non-evolutionary viewpoints. Keeling’s story sounds sympathetic, but the reality is that it is unrepresentative of the typical experience. The overwhelming majority of students in public high schools, colleges, and universities are not “hoodwinked” into ignorance about evolution, but rather are forced to study pro-Darwin-only curricula that misrepresent, disparage, or simply censor non-evolutionary viewpoints. In fact, Keeling’s words describe exactly how I felt after studying only the pro-evolution viewpoint in high school and college but then finally discovered that there are credible scientific views that dissent from neo-Darwinism that were never disclosed to us. I was a victim of censorship. I have a strong suspicion that it is my story, not Keeling's, that is much closer to what most people experience. The Darwinian educational establishment doesn’t make it easy for you to become objectively informed on the topic of evolution, but with a little work on your own, it can be done. The way around the typical one-sided evolution curriculum is to investigate the issue for yourself. Yes, take courses advocating evolution. But also read material from credible Darwin skeptics to learn about other viewpoints. Only then can you truly make up your mind in an informed fashion. Whatever conclusion you come to, study evolution, think for yourself, think critically, question assumptions, and investigate dissenting viewpoints on your own time!